Created from collages of newsprint, the felines featured on these note cards pay subtle—and adorable—homage to the printed word. The boxed set of twenty 4"x5" cards includes five each of the four designs shown, plus envelopes. 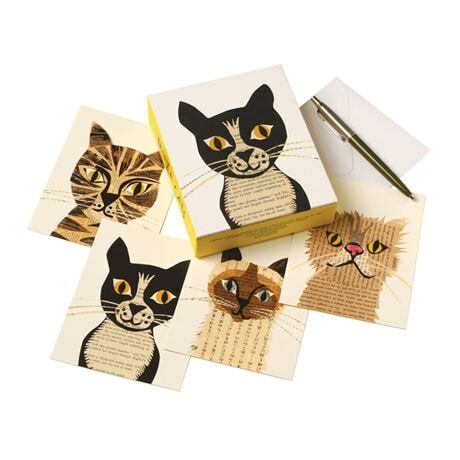 What perfect stationery for all the cat-loving readers you know!